I have new shoes. They are spotty. They are appropriate for children probably but they make me smile, so there you go. I've finally been through my clothes and thrown stuff away. I have very little left and not a great deal of cash to replace them. 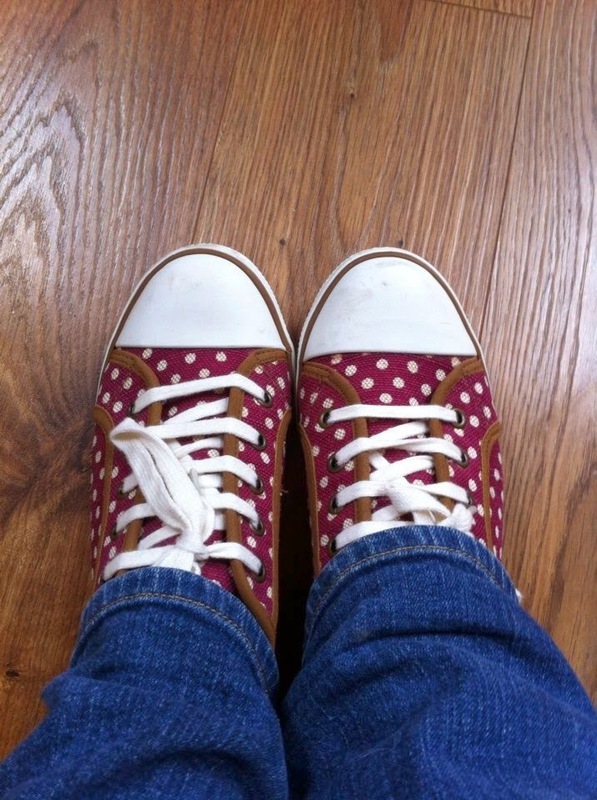 But I have new spotty shoes.